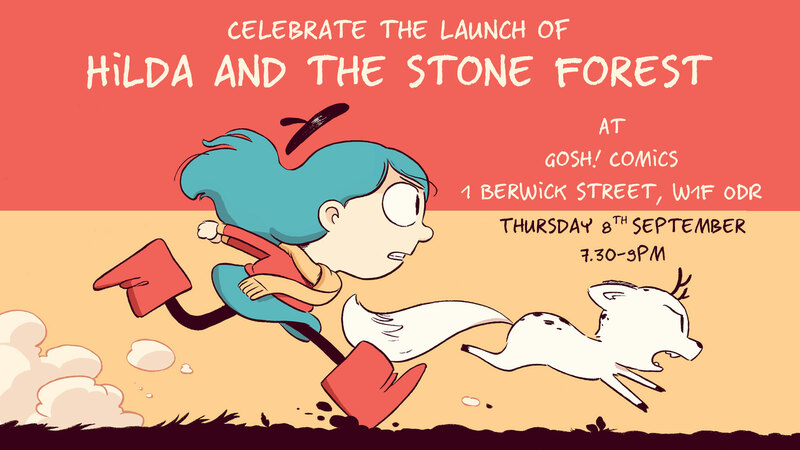 Hilda and the Stone Forest Launch Party at Gosh! Yes! Everyone’s favourite blue-haired heroine is back for her fifth adventure, Hilda and the Stone Forest! To celebrate the launch of this next exciting instalment, on Thursday 8th September from 7.30 to 9pm, Hilda’s creator Luke Pearson will be joining us at Gosh! comics. 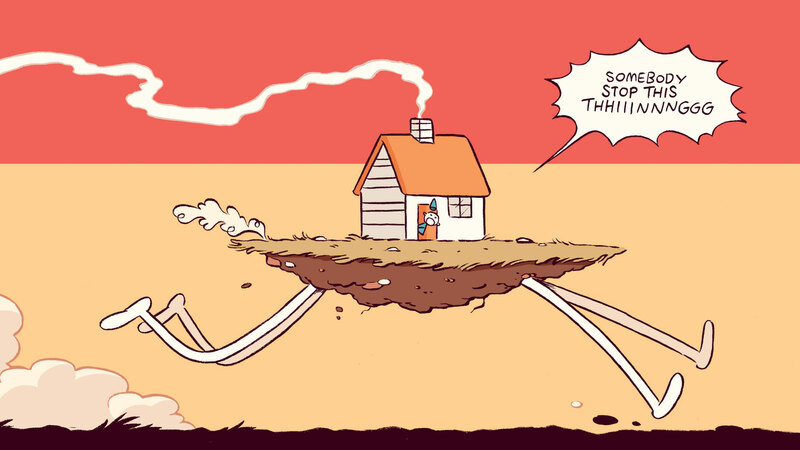 Luke will be in conversation with author, cartoonist and comic book aficianado Gary Northfield, discussing his creative process, the upcoming Hilda animation (as much as he’s allowed to) and whatever else might crop up in the evening. 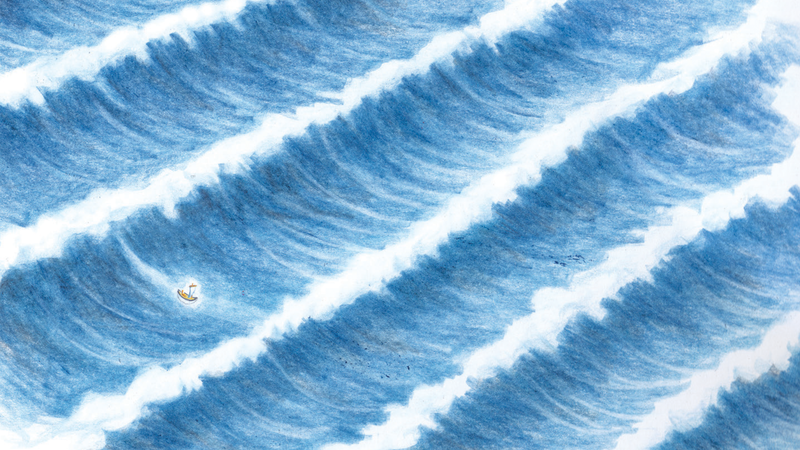 It’s a not to be missed chance to peek into one of UK comics’ most verdant creative minds. And a chance to get a copy of a Gosh! exclusive Hilda & the Stone Forest bookplate edition! The Facebook event page can be found here. No need to book, no tickets required: just bring yourself down for 7.30-9pm on Thursday the 8th September, seats first come, first served for what promises to be an informative, entertaining evening. GUEST POST : Katheryn Wise’s Picks for Summer! I have worked for the Fairtrade Foundation for the last three and a half years, writing learning resources for teachers to explore with their students about where their food comes from, how closely we are connected to people all over the world by the food we eat and how choices we make as consumers affect the producers at the other end of the supply chain. Put simply, I write about some of the ways in which the world is unfair and some of the ways we can try to make it fairer. Before that I worked at Comic Relief for four years, again on the Schools team, encouraging young people to get involved in Red Nose Day and Sport Relief, raise money and help people struggling in the UK and the world’s poorest countries. I am a big fan of elephants, dogs, dinosaurs and beautiful books. As I said, I worked for a maritime museum – and not just in the publishing department but in the galleries themselves for a number of years. 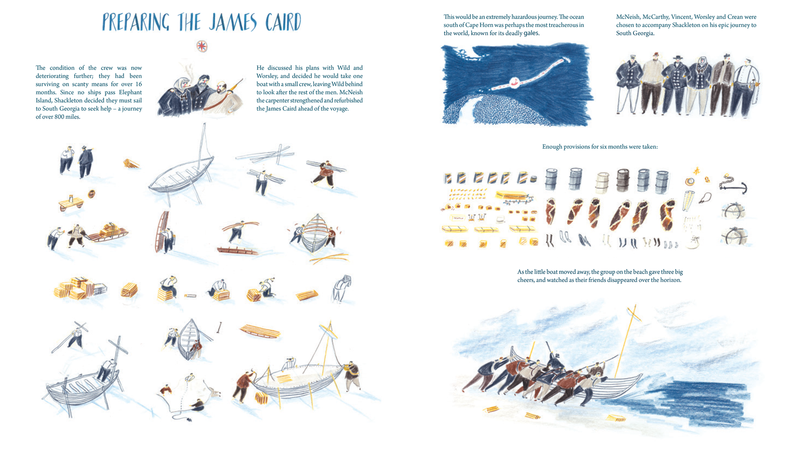 I have stood beside a replica of the James Caird for many a day so I am well-versed in the life of Shackleton. In fact, I rather big-headedly wondered if William Grill could even have any information that I didn’t already know – and my goodness he did!! The detail in this story is incredible and the language evocative. A handy glossary differentiates your conning from your cross-bracing and however much you think you know about Shackleton’s attempt to cross Antarctica I guarantee that you will learn something new. 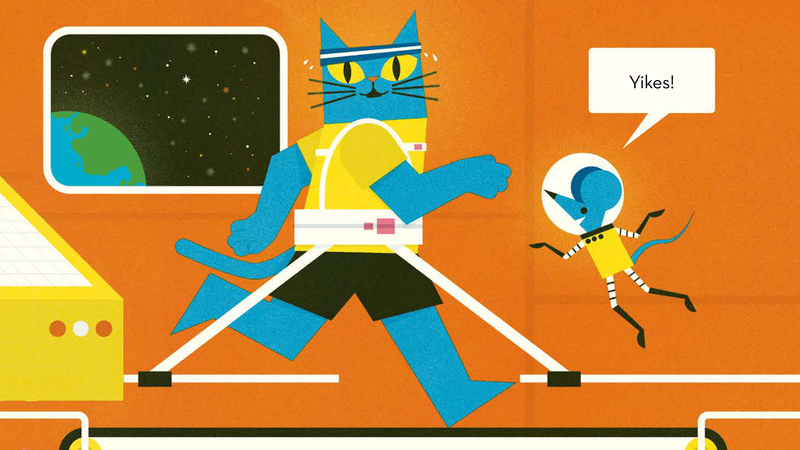 My second book was Professor Astro Cat’s Intergalactic Activity Book. While Shackleton’s Journey is wistfully sketched and beautifully described, Professor Astro Cat whizz-bangs from the page and gets you up and involved from the get-go. I may not have mentioned that I actually ran a detective agency in my youth – the Clueless Detective Agency – you may have heard of us? My co-founder Agent 33.3 and myself, Agent 21.5 were quite the problem-solvers of our little village in Kent (a high point being when we found a shoe without an owner – although I believe that case is still unsolved). 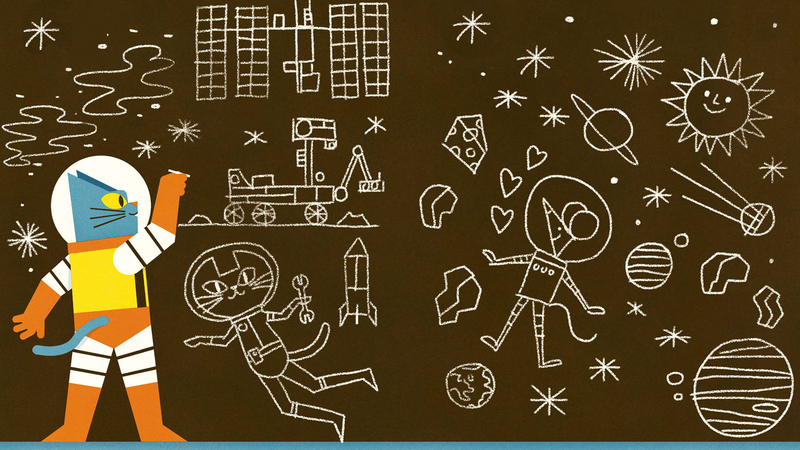 Anyway, I digress, but it is a relevant digression because Professor Astro Cat tapped straight into my 9 year old detective brain – once again I was learning Morse code and the NATO phonetic alphabet and was given Astro Cat’s decoder to translate curious extraterrestrial text! It was amazing! There is so much to do in this book!! I have made a star gazer, learnt some Russian, measured wavelengths using chocolate and a microwave (who knew that was possible?!) 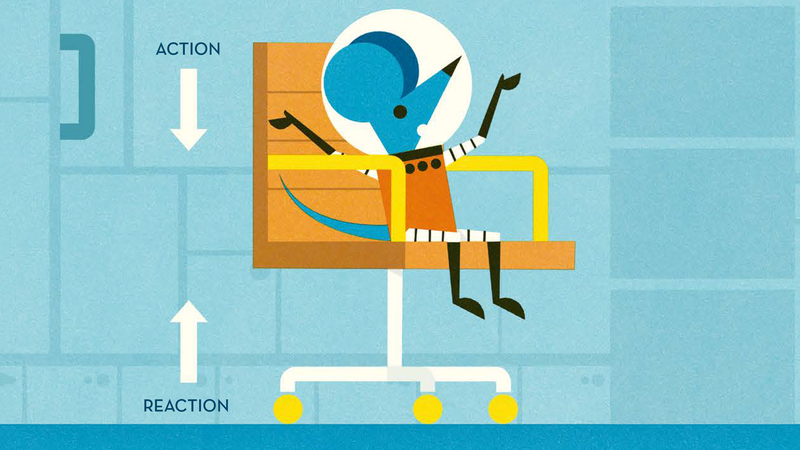 and I have designed a gym for cosmonauts to use on space stations (you’re welcome NASA). The best things I learnt were that I am essentially made of stardust which is very cool and if I move to Pluto I might just have superhuman strength. I honestly think this might have been the most fun I’ve ever had learning anything. I should add that I also nearly fell off my chair and I spilt a bowl of cereal whilst wearing three pairs of gloves – ‘why?’ and ‘how?’ I hear you cry – well, you will just have to read the book yourself to solve that case. If you are a blogger, librarian, bookseller, illustrator… or straight-up, die-hard, all-round Nobrow/ Flying Eye Books fan and you would like to write a guest post for our blog, please get in touch at [email protected]!